Description: Perennial. Boldly colored, densely packed, this Lupine makes gorgeous 3 foot flower spikes. It displays a sturdy, base-branching habit. The tall spires in shades of pink, rose, bronze, red and blue stand above attractive lobed foliage. 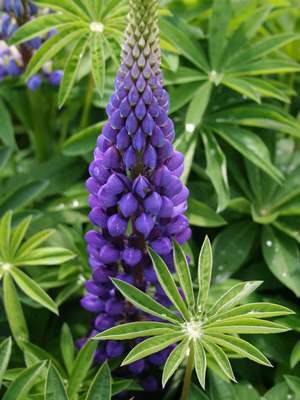 Care: Lupine 'Russell Strain' thrives on ample moisture and does best where summers are cool.